Rabies is virus which causes a virtually 100% fatal neurologic disease in all mammals, including humans. Even in the 21st century, over 50,000 people worldwide die of rabies every year. It is a horrible death of alternating periods of lucidity and psychosis, pain, fever, convulsions, hallucinations and hydrophobia (pathologic fear of water). 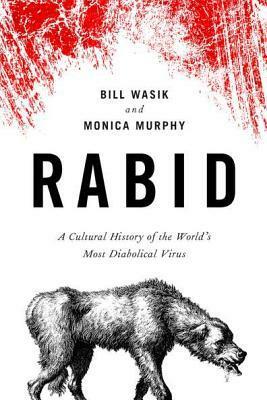 Wasik and Murphy weave together a history of rabies and civilization. Although many of the scary epidemic infectious diseases of humans, including Ebola, West Nile, SARS, swine flu, and hanta, are zoonotic (transmitted from animals), only rabies was known to be zoonotic before humanity ever considered the existence of bacteria and viruses. Think of bubonic plague (“The Black Death”): people didn’t realize it was caused by a bacterium spread by the bite of a rat flea. But rabies: slobbering psychotic dog bites human, human turns into slobbering psychotic animal. It was obvious even four millennia ago that rabies was transmitted by animals, particularly canines. RABID looks at theories, preventatives and “cures” over the millennia (the most effective preventative prior to vaccination was cauterizing the fresh bite with a red hot poker); history (St. Hubert is the healer of rabies sufferers); mythology (the slaver of Cerberus spreads both rabies and aconite); connections of rabies to werewolf and vampire legends; the handful of documented survivals of rabid humans; weird ideas that people have had to prevent rabies in dogs (one theory suggested rabies spontaneously arose in dogs due to sexual frustration and suggested prevention by creating “doggy bordellos”); rabies in various species (l’enfant du diable = the devil’s child, a skunk); history of canine mass killings in an attempt to stop epidemics; and a recent rabies epidemic on the supposedly rabies-free island of Bali. The most fascinating chapter explains how Louis Pasteur developed the first rabies vaccine in the late 1800’s. In fifteen years of veterinary practice, I have never seen a case of rabies and hope I never do. Pasteur (who is also the father of pasteurization and food safety) maintained rabid animals in his lab, putting himself and his staff at continual risk of gruesome death. By repeatedly transferring rabies directly from one rabbit’s brain to another they developed a highly virulent strain, and then to “tame” that strain to be a vaccine, they left the rabbit’s spinal cord out to air-dry for a few days. Imagine how terrifying it must have been for him to inject that dried-out rabid spinal cord into the young boy who was the first test subject. The boy survived both the initial rabid bite and the cure. Recommended for anyone who likes history, biography or medicine. And a soapbox moment: Make sure your dogs, cats and ferrets are current on their rabies immunizations, and never approach an ill or strangely-behaving bat, skunk or raccoon. I admit that I was technically too old to be reading picture books when I found this one. Of course, I have rarely bothered with such things as age recommendations . . .
And that was how I found Weslandia. 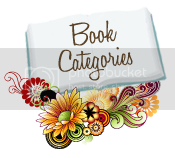 It is a hilarious story about a boy who decides that for his summer homework, he will found a civilization. And he does: he lets the wind plant his garden, and when strange plants come up, he lets them, and creates his own culture based around them. And of course, it works. Of course it does! It works because Wes is, as he notes, "an outcast from the civilization around him." He's just too different from the rest to fit in. 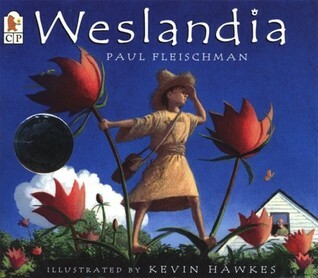 So instead, he creates his own place, a world in his backyard, and he calls it Weslandia. And by the end of the summer, he's not only created his own writing system and all kinds of nifty gadgets, he's made some friends too! As weird as this book is, I love it very much, because it taught me when I needed it the most that if you can dare to be different, you will change the world. 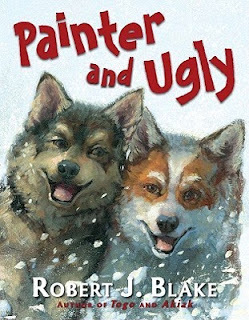 Inspired by true events, PAINTER AND UGLY by Robert J. Blake is a story of friendship that can survive any circumstances. Raised in Alaska to take part in the Junior Iditarod, sled dogs Painter and Ugly (both named after an unfortunate mess in painting their sleeping crates) are the best of friends. They do everything together and are connected by their own code: a soft yipping noise that they use to communicate wherever they are. However, when the dogs are separated to different racing teams, they miss each other desperately—until they find a way to reunite at the big race. Complemented by beautiful oil paintings, the text captures the landscape and spirit of Alaska. The images of snow are so beautiful and textured, making each page a wonder to examine. The book includes information about Blake’s research there, making it an interesting opportunity for children to learn about an extremely different way of life within the US. The illustrations of the dogs are particularly amazing: any dog lover will recognize the authenticity of movement, facial expressions, and diversity Blake captures in his depiction of the sled dogs. The underlying message of friendship is strong and relatable to any child, particularly those who connect with animals on a deep level. 1. 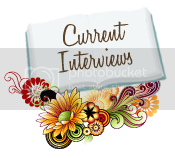 The main character, Sadie, moves from Houston to Salt Lake City. I have lived in both of these cities and I can relate to both of the locations that the author writes about (especially missing the Blue Bell Ice Cream from Texas). 2. Sadie is 13 in 1985. I was 13 in 1985! I totally get the 80's. 3. Sadie just moved and I just moved. So I get the upheaval of everything, leaving everything behind, and yet still excited for the possibilities of the future. 4. Sadie has a likable voice. I loved seeing inside her head. 5. I would call this book wholesome. However, it isn't boring. There is plenty of adventure and getting in trouble, it just isn't the drugs/jail time kinda trouble. 6. I like history. For good portions of the book Sadie is reading a journal kept by a 13 year old girl from 60+ years before. 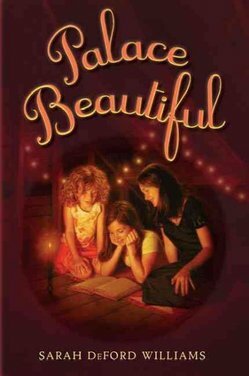 It is heart wrenching at times, but also fascinating to read about a girl's experience from the past. 7. 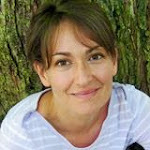 Sarah Williams has created a book that my daughters and I can understand and enjoy (and it has a happy ending, I like happy endings).